During September 2018, WA Primary Health Alliance (WAPHA) My Health Record Trainer, Sam McMillan, travelled to different parts of the Pilbara to train Aboriginal champions. 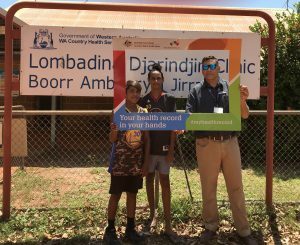 Our champions will visit remote Aboriginal communities around Newman, Port-Hedland and Karratha to educate community members about in My Health Record and what this means for them. 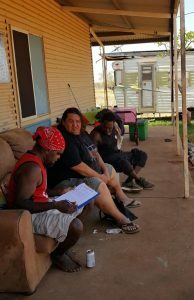 At the Puntukurnu Aboriginal Medical Service, Sam trained Julian and Rex to be remote champions for My Health Record. When they had finished the course, the team packed up their four-wheel drive and set out to visit six community hubs in the surrounding areas to spread the message about My Health Record. 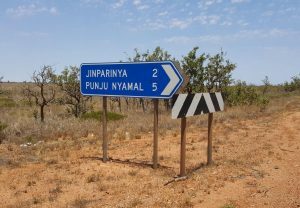 They made a big circle to from Punmu to Kunawarratji, followed by Nullagine Irrungadji, Jigalong, Parnpajinya and Parnngurr communities. They hosted information sessions sitting under a tree and held presentations at the local health clinic. Wherever people were gathering, they took the opportunity to organise an information session. 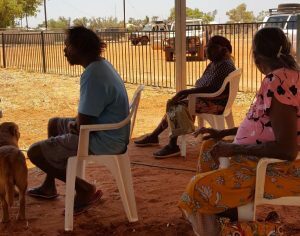 They spoke to more than 120 remote living Aboriginal people including some community elders and health professionals who will carry the message forward. 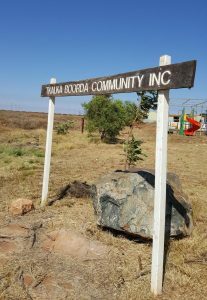 The next station was Port-Hedland, situated roughly 450 kilometres north of Newman where Sam trained Pumpkin and MK, two local women from Sing-KenKen Solutions. 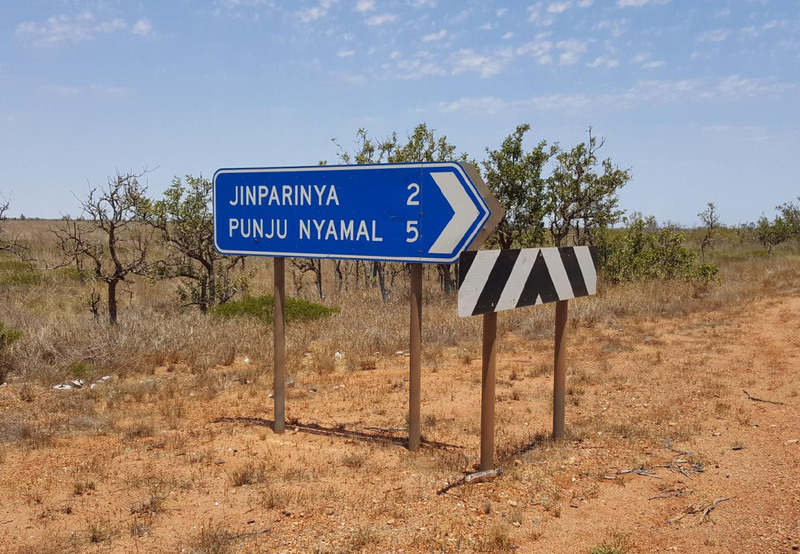 After finishing the training, the ladies headed out to visit Aboriginal communities in Marble Bar, Goodabinya, Warralong, Tjalka Boorda, Yandeyarra, Jinparinya, Marta Marta andPunja Njamal where they spoke with over 300 people. Their big successes included the community gathering in IBN Nyiyarbarli where around 200 community members gathered to listen to the My Health Record talk. The champions developed relationships with staff at the Ashburton Aboriginal Cooperation who have 800 people on their books who will now be informed about My Health Record. Pumpkin and MK have hosted several BBQs to get people together to inform them about My Health Record. They also tagged along with existing functions and events happening within the communities and hung posters in all public spaces and on noticeboards. 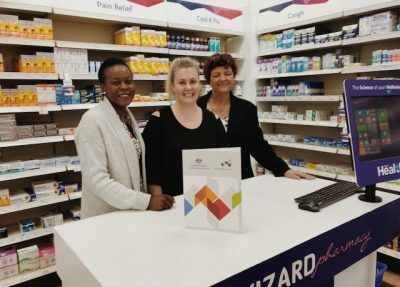 At the WA Centre for Rural Health, Sam trained Rohan and Jolleen, two pharmacy students and staff from Gumala Aboriginal Corporation. After the training, our appointed champion for the region Jolleen travelled to Youngaleena Community, Bellary springs, Paraburdoo, Wakathuni, Bindi Bindi, Onslow and Peedamulla. 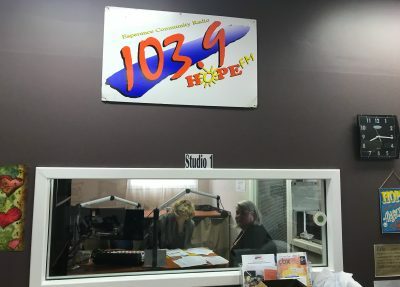 In this region Jolleen approachedcommunity mainly with home visits to speak to people in the community who have a lot of connections, who will then speak to their communities to inform them about My Health Record.